One of the traditional tasks of the film avant-garde is to show what cinema is capable of when it is released from literary stories, from narration: how to interweave seemingly unrelated pictures, how to convert outer and inner spaces into a synthetic, unOne of the traditional tasks of the film avant-garde is to show what cinema is capable of when it is released from literary stories, from narration: how to interweave seemingly unrelated pictures, how to convert outer and inner spaces into a synthetic, unrealistic third cinematic space. 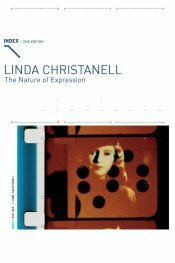 Linda Christanell´s works are a study of such a space. In the confrontation, in its layering, the material is subjected to an endurance test.